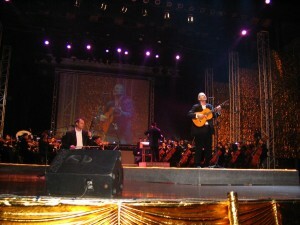 Here are some photos from the previous BJ trip. 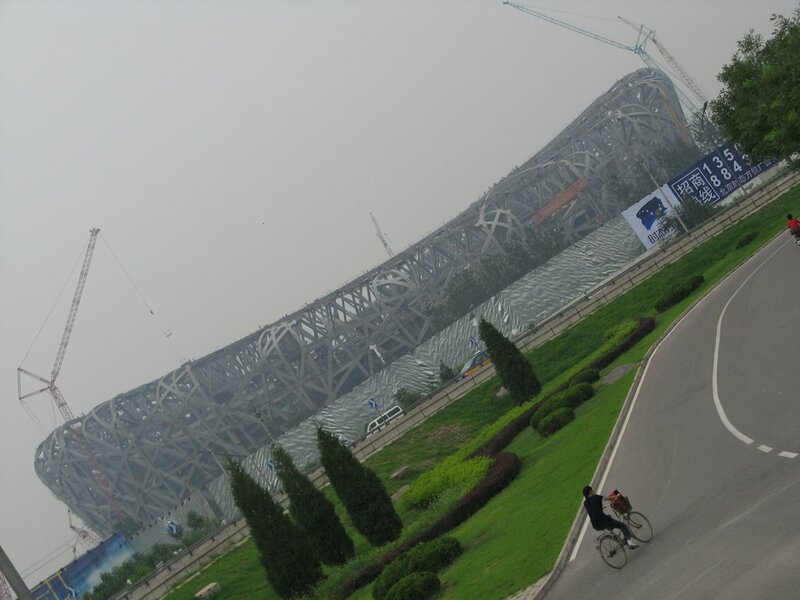 This is the massive Olympic Stadium dubbed the ‘Birds Nest’ under construction 24-7 around the clock. 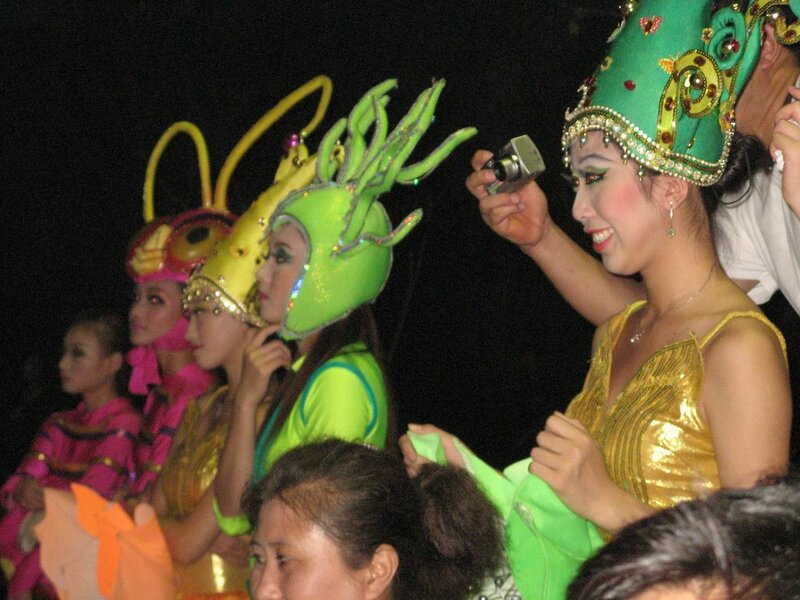 At the Happy Valley theme park – actors ready for their cue. This is the brand spanking new Bocog HQ in north Beijing. 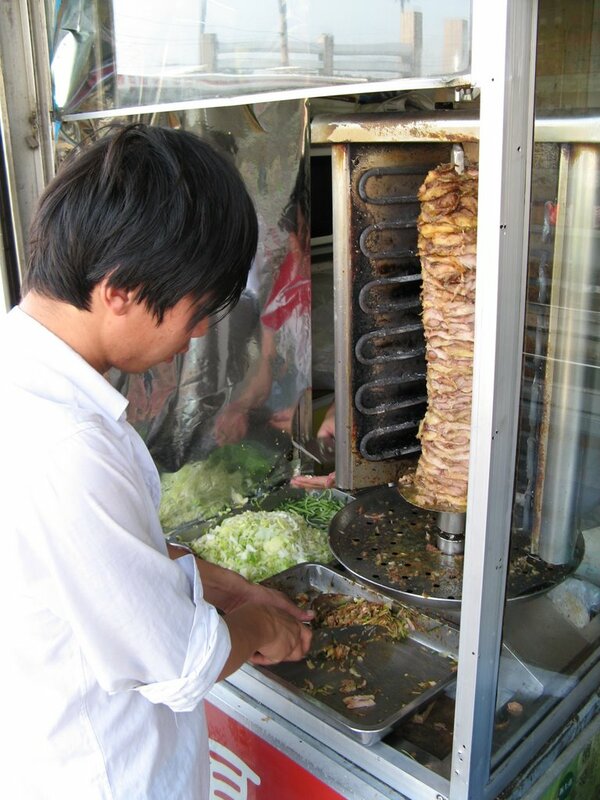 Who ever said Gyros and souvlaki can be found only in Greece and the middle east ? 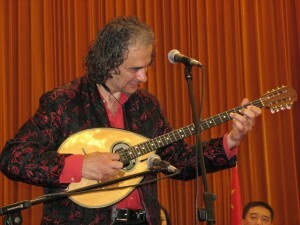 Sweating it out on the Greek bouzouki under scrutiny during a graduation ceremony at the Great Hall of the People . Holding forth at the Great Hall of the People during a graduation ceremony of high-school students from the Concord College of Sino-Canada. 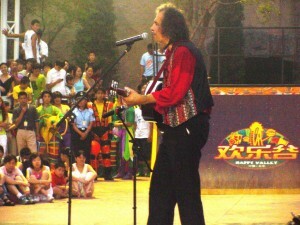 A showcase appearance at the Happy Valley theme park. I broke a G-string (bad joke but its true) off the mark so this threw a monkey-wrench into my playing cuz I couldn’t play the slow finger-picking chinese ballads I had planned. 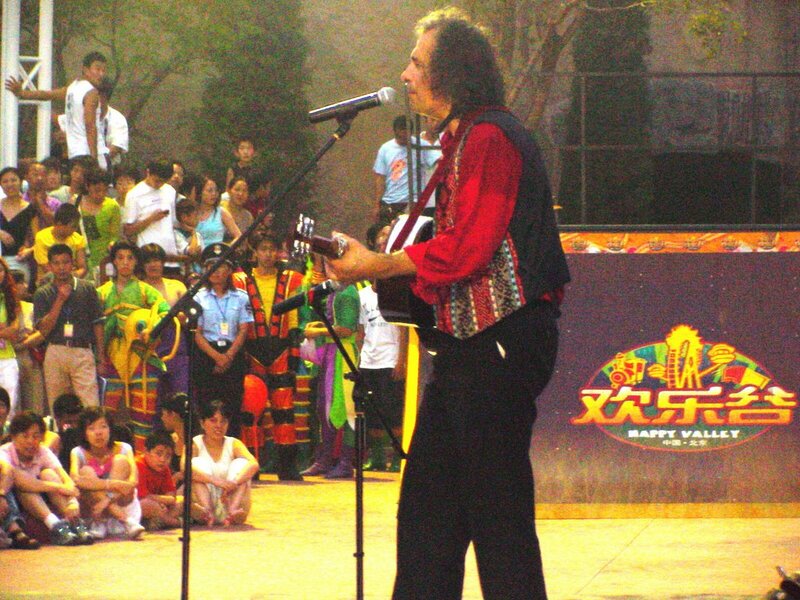 Will they hire me and the band ? Umm…haven’t heard from them yet. 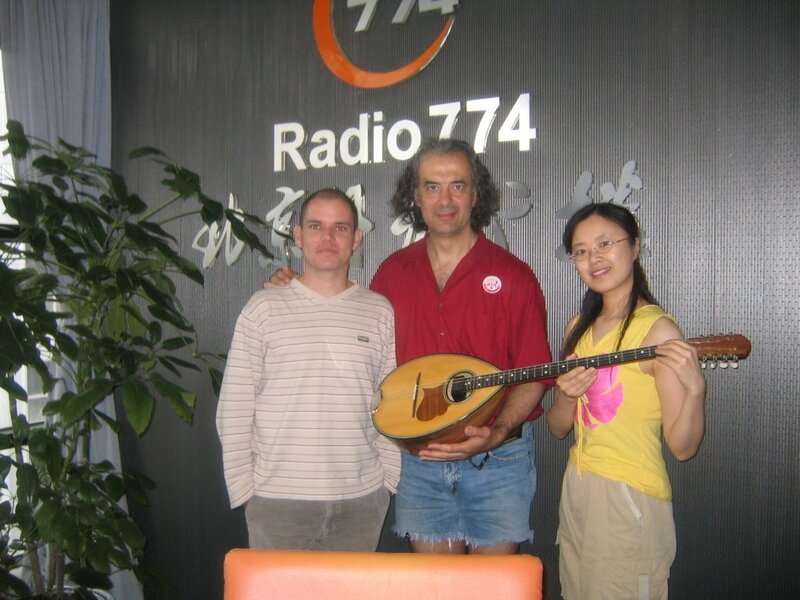 With Richard and Lin Wang from Radio Beijing . 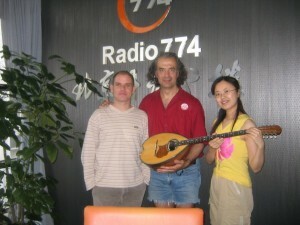 Thanks to them and to June for the opportunity to talk about Chairman George on live morning rush hour radio. This entry was posted in Uncategorized on August 26, 2006 by George.